We are pleased to announce the release of the QtitanDataGrid 5.19 component. 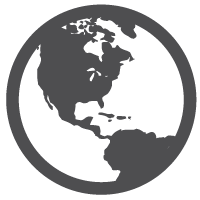 This version fixes several crashes, painting issues and other non-critical errors that were posted our customers. This small update fixes a bug in component when it used in conjunction with QtitanRibbon styles. 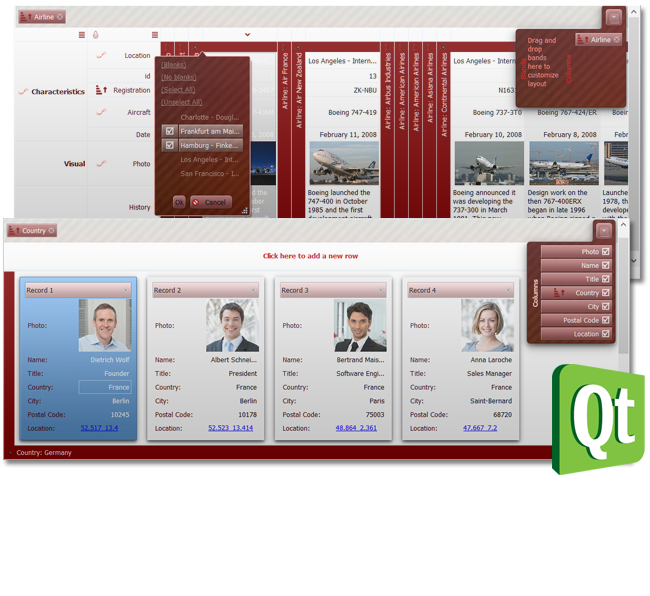 We are pleased to announce the release of QtitanDocking 2.0. This version fixes a lot of bugs that were revealed in the previous version. Added a number of new features and improvements. The mechanism of work with dockable Document panels is added. Document panel is controlled by special document layout which is located inside the central widget. 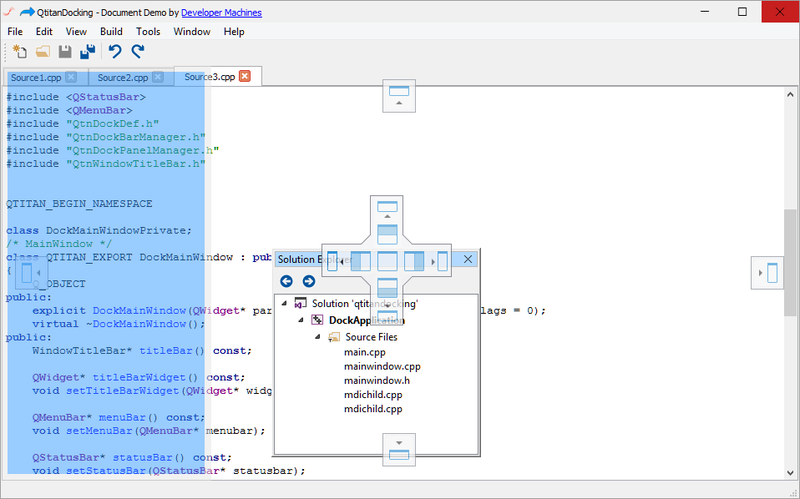 You can see this in Visual Studio docking, where text files with the source code are represented in the form of docking documents. The document panel has a more complex dockable layout engine than conventional widget panel. Therefore, during the drag operation an additional set of guide diamonds are appeared, which prompts end-user in what area to place the panel. In addition, the mechanism for working with dockable ToolBars has been improved. 29 June, 2018 QtitanNavigation 1.4 has been released! 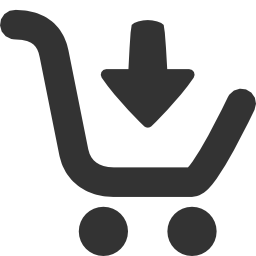 We are pleased to announce the release of the component QtitanNavigation version 1.4. 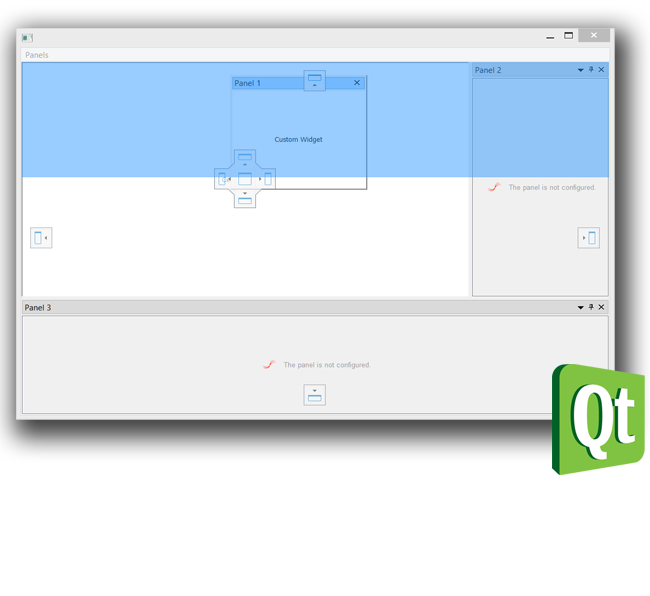 In this version, we moved forward in the development of the concept Fluent Design and Navigation Design introduced by the Microsoft in UWP framwork and now some of the features are available for Qt developers. 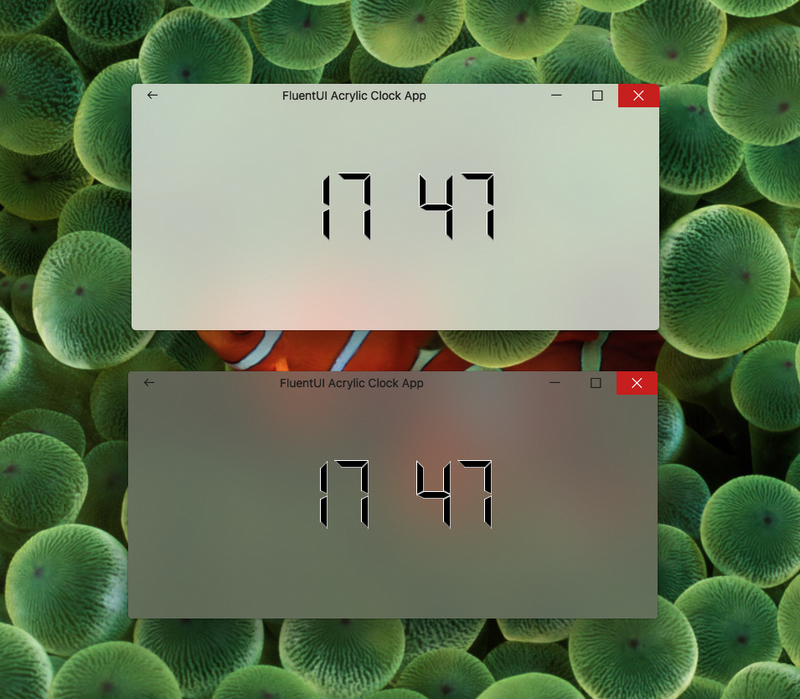 In version 1.4 appeared the possibility to create special widgets that represent Acrylic material in order to give the application visually great depth and volume. You can control the tint color of the material and the level of the opacity. Under Windows 10 or MacOSX, it is now possible to blend the material brush with the blurred background of the desktop, which is located behind the application window. See screenshot for the detail. Added the ability to fully customize top-level window Title Bar. You can control the size of the non-client frame, the background color, system buttons and other elements. It became possible to add the "Back" button to the title bar instead of the system menu button. Special mode allows place the title bar directly on the window client area. There is a possibility to add a custom QWidget to the non-client area and in general fully managed rendering title bar through QStyle and the corresponding primitives that are responsible for rendering the title bar, for instance QStyle::SC_TitleBarSysMenu, QStyle::SC_TitleBarCloseButton and etc. See the screenshot with the embedded QLineEdit into the title bar. Improved buttons, animation is added when the button is pressed. A number of classes were added so that you can quickly and inexpensively create applications supporting the Navigation Design concept and provide convenient navigation between application pages. NavigationView it's a widget usually the main widget on the window that provides a collapsible navigation menu (hamburger menu) and a navigation frame. Widget automatically adapts own view layout to different window sizes. NavigationFrame - the widget provides a switch between the pages and supports a history of hits that can be associated with the "Back" button on the title bar. Several animation modes are possible when switching. 6 June, 2018 QtitanDataGrid 5.18 has been released! We are pleased to announce the release of the QtitanDataGrid 5.18 component. Version introduces a new feature - save filter and filter history to the XML. The filter settings can now be saved to a separate file or as part of a grid layout. The mechanism of reading the XML file was updated to load the XML with the enabled auto-formatting. This version corrects an input issue for Chinese, Japanese and other complex languages that require a virtual input method (QInputMethod). A few minor bugs were fixed. 20 April, 2018 QtianRibbon, QtitanDataGrid components were updated! 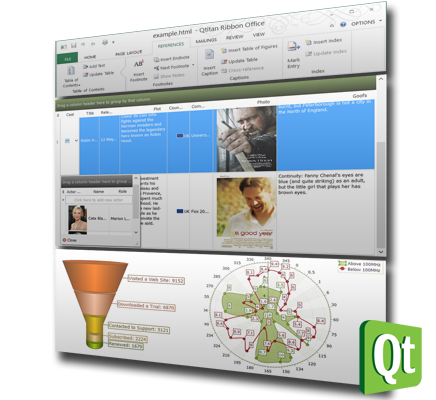 QtianRibbon and QtitanDataGrid componets were updated to QtianRibbon 4.17.1 and QtitanDataGrid 5.17.1. Update corrects a problem compiling for Qt4 and demo examples. 19 April, 2018 QtitanDataGrid 5.17 has been released! We are pleased to announce the release of the QtitanDataGrid 5.17 component. The version contains a number of improvements and fixes for errors that are identified on the basis of user feedbacks. Improved drag-drop mechanism for rows and cells. The grid now shows the contents of the rows while dragging. Now you can choose to copy or move the data. To switch press and hold the Shift key. Added InternalMove mode. Fixed the problem of the drag-drop operation when the grid is located on a modal window, for example on QDialog. Updated demo examples.